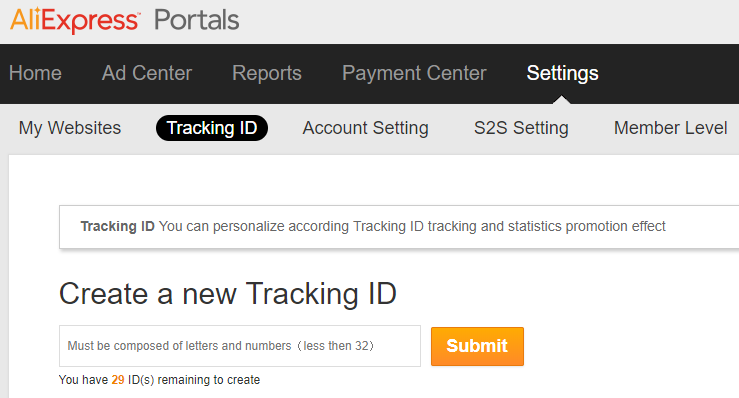 How to Get Aliexpress Portal APP Key & Tracking ID? Sign in to Aliexpress Portals Dashboard. Go to Ad Center and Api Setting. You can find your API KEY and copy to Aliatepress Setting. Go to Setting and Tracking ID. You can create new tracking ID if you haven’t create one. Copy the tracking ID to Aliatepress setting.